Posted in category: Miniature Plants. I’ve always gravitated towards things that flower and things that are small. 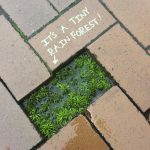 The rise of fairy gardening and making terrariums has made any small plant that flowers infinitely more desirable than it ever was before. The kalanchoe is such a plant – small plants with stunningly bright and colorful flowers. 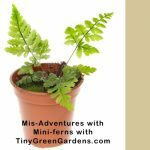 But, what happens when plants being sold as “miniatures” aren’t? Or when different types of plants are sold together? You get people putting together beautiful tiny green gardens only to watch them die off or outgrow house and home. Kalanchoe is a tropical, succulent. That means it is an extremely poor choice for a closed terrarium. It should not be put in a fairy garden with moss or other moisture loving plants if it is not kept in it’s own pot or otherwise segregated from the wetter soil preferred by the moss. There are around 125 species of kalanchoe. It is also known as Mother of Millions, Devil’s Backbone and the Chandelier plant. 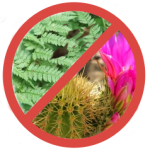 They are extremely toxic to cats and dogs – so care must be given to keep plant nibblers away from this plant. 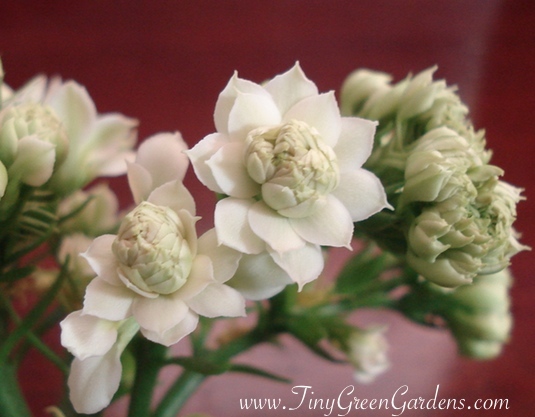 You can find Kalanchoe blossfeldiana or Christmas Kalanchoe available in most any gardening center or grocery store. They are sold for their bright, colorful flowers and do not live up to the nickname Mother of Millions or have some of the more colorful and interesting leaf formations of other varieties. One of the problems with this plant is that like many succulents, it grows fairly slowly. A small, young plant can flower, making it easy to misrepresent as a true miniature. And, those pretty flowers are sometimes referred to as miniature roses, which just adds to the confusion over the size of these plants. There are miniature varieties but not all Kalanchoe being sold for tiny gardens are true miniatures. That cute little kalanchoe that came in a tiny 2-inch pot may not stay so small and cute. Most Kalanchoe, sold as houseplants, grow to be 12-14 inches tall. Just look at the kalanchoe I purchased several months ago. 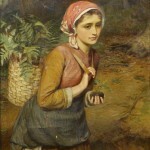 It had been packaged as a Valentine’s Day offering. It came in a cute little lady bug pot. It hadn’t been taken care of and it was clearly not a miniature, but, for a mere 89 cents, I would get a plant and the lady bug planter. It had a ton of flower buds but none of them were open enough to provide a hint as to its color. It has taken almost 2 months, but it the buds are finally starting to open. I now know my not-so-little kalanchoe is a white one. They come in white, yellow, pink, purple, orange, magenta and various shades of red. But, it got me to thinking about how many of these succulent plants are being marketed for terrariums. And, how their unique needs may further make them a poor choice for a tiny green garden with other plants. As you can see, my kalanchoe variety is one of the newer ones that have a fairly large number of petals – it has 12 and looks like it has a lot more to come yet. There are some newer varieties of Kalanchoe that have almost 30 petals – looks like I might have one of those. Kalanchoe tend to bloom in late winter and spring. The flowers can remain bold and vibrant for months. They are commonly sold at Easter time and for Mother’s Day. Most people buy them, enjoy the flowers and discard them. I’ve had them before and my kalanchoe tended to die or become a sad-looking shadow of it’s former self. I’m hoping after writing this article that I can keep this one happier. Kalanchoe are a bit like poinsietta in that if the right conditions are not met, they generally won’t flower again. (Both require periods of darkness and dormancy to rebloom.) One source recommended a hard pruning and letting the plant spend the summer out in the garden may get it to rebloom. 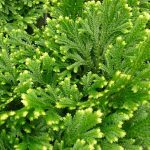 Keep in mind, they are generally considered a houseplant and may only survive year-round in gardens located within the warmest USDA hardiness zones. Kalanchoe prefer full sun. They can be maintained indoors but if the light is insufficient, they will become scraggly and lose their leaves. They prefer warmer temperatures and can quickly die is subjected to temperatures below 5°C (40°F). Like most succulents, Kalanchoe like well-drained soil. They do better when you allow the top of the soil to dry somewhat in between waterings. 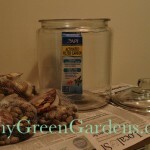 Regular houseplant fertilizer, applied once a month, will also help keep your plant happy according to one source. Another site recommended using liquid fertilizer only while blooming and to use it once a week. I don’t use a lot of fertilizer with my plants but based on the conflicting advice, I would not fertilize more than once a month – I always tend to follow the most conservative advice. With so many different varieties being sold, the biggest issue that I’ve seen is knowing how big the plant you actually have will get. The Kalanchoe blossfeldiana plants typically sold as houseplants will grow around 12 inches tall (mine is just under 10 with some leaves that are almost 4 inches long). Some species can have flower spikes that stretch up to 2 or 3 feet tall. The smaller, houseplant varieties do tend to like being in smaller pots – mine is putting on quite a show in it’s teeny 2 inch pot. 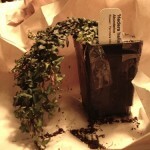 If replanting, try to only go a size or two larger than the pot the plant is currently living in. The flower heads of Kalanchoe originally produced seed, but, many of the varieties sold as ornamental houseplants no longer do so. BE VERY CAREFUL OF ANYONE SELLING KALANCHOE SEEDS – THEY ARE OFTEN STERILE AND WILL NOT GERMINATE! The good news is that the plants readily grow new plantlets from the leaves. Also, when grown from seed, assuming you are dealing with a variety that produces viable seeds, it can take 2-3 years before the plant flowers. To propagate Kalanchoe, remove several of the leaves from the bottom of the plant. For best results, propagate Kalanchoe during the spring months. Wait several days for the wound to callus over and then place the leave stem in a good rooting medium (50% peat moss and 50% perlite is recommended by the folks at Clemson University). Oddly enough, they also suggest bagging the plant to maintain moisture levels, despite the more typical dry conditions the plant prefers. Cuttings may be ready for transplantation in 14 to 21 days. When conditions are ideal, and depending upon the variety of Kalanchoe you have, little plantlets form along the outer edges of the leaves. They will grow roots and eventually drop from the leaves when they are ready to establish themselves separate from the mother plant. Understanding the true growth habit of Kalanchoe and that it is a succulent does not mean it should not be considered for tiny green gardens. It will make a stunning addition to a small succulent garden, particularly the miniature varieties. It also makes a nice houseplant. While many treat Kalanchoe like cut flowers – enjoy them while they last, I hope to keep mine going. Who knows, maybe I can get it to rebloom or become a mother to millions. This stunning variety has been known and sold under the name Kalanchoe thyrsiflora. They are, however two distinct varieties. Luciae has maroon tipped-leaves and greyish-green flowers. The main part of the plant grows low to the ground and the flower spike reaches as tall as 1.5 meters. It is sometimes called the flapjack or pancake plant for the flat round leaves that it has. 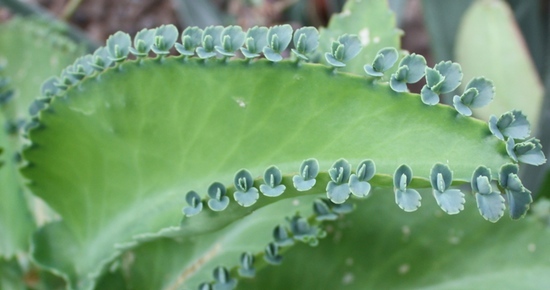 Kalanchoe Luciae does not produce the tiny plantlets along the edges of the leaves. 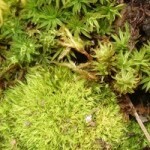 Instead, off-sets form at the base of the plant. Once it blooms, the mother plant typically dies off. Available in 3-4 inch plants that are shipped bare root, on Amazon from ChingWenArts Studio Pottery. The folks at Exotic Cactus are offering a 4 inch Kalanchoe Daigremontiana plant on Amazon. But, before you opt for this Kalanchoe variety, keep in mind that it can grow up to 3 feet tall. It is considered generally hardy in zones 9, 10, 11 but cannot tolerate frosty temperatures. If the climate is right, this plant can also become a highly invasive species. Be mindful of any plantlets, leaves or even branches that make contact with the soil (and even sometimes just land on something it likes) as they often grow into new plants. Kalanchoe Daigremontiana and Bryophyllum daigremontianum are often used interchangeably to describe this plant. However, it does appear that they are in fact two different species. LOL I think I am the person who didn’t get the 4 different colors you describe in the first photo. I am happy to say that through diligent searching I now have yellow, white, red, orange and pink kalanchoes. Also these are the Kalanchoe Blossfeldiana varieties. I had a salmon colored one years ago and I am still looking for that color for my collection. I put 2 or 3 colors in big patio pots in the Spring and then in the end of summer I snip off 3 cuttings from each color and let them sit on the counter for 2 days until the ends heal. Then they are planted , each color to a pot and they winter on a sunny window all winter, until the cycle starts over again in the Spring. The Kalanchoe Blossfeldiana blooms in the Spring and throughout the entire Summer. I adore this plant and it is always part of my collection. 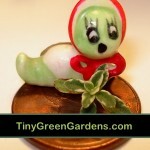 You can often find them in florist shops, as they are found in plants given as get well gifts. I suspect you are probably not the only one to not receive all 4 colors. Sounds like you did get nice and healthy plants though – that’s always good. 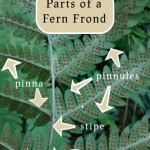 Great advice on how you perpetuate your plants from year to year. The one I purchased last March is getting ready to bloom again. It was pretty badly treated the past year. I feel lucky it lived and even more excited that it’s going to bloom again.